There are some things that fill you instantly with all the enchantment and delight of Christmas. 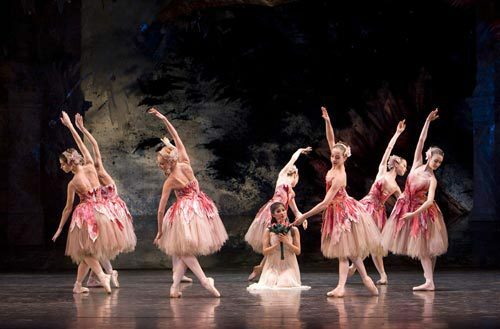 In Birmingham, that such event is Birmingham Royal Ballet's The Nutcracker. This magical, romantic tale is so spectacular and beautiful to watch that it fills you with an undeniable inner warmth of happiness and wonder. There's every Christmas ingredient imaginable - a giant sparkling tree, dreamy costumes, a soundtrack of cheery uplifting music (some of Tchaikovsky's best), an adventurous heroine who finds her handsome (dancing) prince and overcomes the baddies (in this case, rats), and the piece de resistance, lashings and lashings of snowflakes. Sir Peter Wright has produced this version of The Nutcracker, which runs at Birmingham Hippodrome until December 12. It starts off in a grand Victorian living room where guests are arriving for a family Christmas party under the shadow of an enormous traditional Christmas tree. While the youngest son gets into all sorts of trouble, the grandparents join in the dancing, a magician stuns the crowd with some special guests, and the young teenage daughter, Clara, falls in love with her present - a large Nutcracker in the shape of a soldier. Once the charming festivities are over, our heroine sneaks down in the midnight hour to seek out her Nutcracker - but that is when things take on a mysterious turn. In a similar way to Alice In Wonderland, our leading lady embarks on an adventure into a fantasy world where rats emerge from the fireplace to fight toy soldiers, the Nutcracker transforms into a romantic hero, sugar plum fairies delicately totter across the stage and a host of colourful characters entertain in the "Land of Snow", while the dreamy Tchaikovsky music plays on. Each of the strangers Clara encounters gives us a dance: there's the red fiery Spanish trio; the group of flexible and enthralling Arabians; the adorable and frenetic bowing Chinese duo; and the energetic jumping Russians, to name just a few. 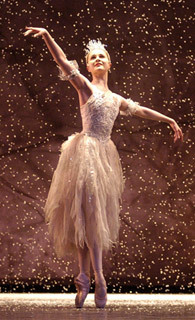 But the best of all is The Sugar Plum Fairy, the ballerina of Clara's dreams, and as it turns out, of ours too. Add to that, a flying goose, wonderful snow scenes and expertly choreographed pas de deux routines, and it makes this show a memorable treat for all the family. In fact, the bright, colourful costumes, extravagant sets and array of lovable characters mean that it is a wonderful introduction to the genre for children. It is also a relatively short ballet at just over two hours long, including an interval. The costumes are especially dazzling - the beautiful outfits of the Snow Fairy and Sugar Plum Fairy are the pinnacle in traditional shimmering tu-tus. Ultimately, what makes this ballet so special is its great storytelling through magnificent music, exceptional stage sets and mesmerising costumes. If you love Christmas, you won't want to miss this. Tickets cost from £16 to £50 and are available from the Birmingham Royal Ballet website or the Birmingham Hippodrome website or by calling the box office on 0844 338 5000.